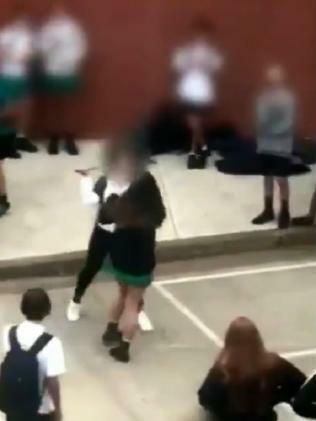 FOOTAGE has emerged of a teenage girl appearing to threaten her classmate with a knife during a schoolyard fight on the NSW Central Coast. 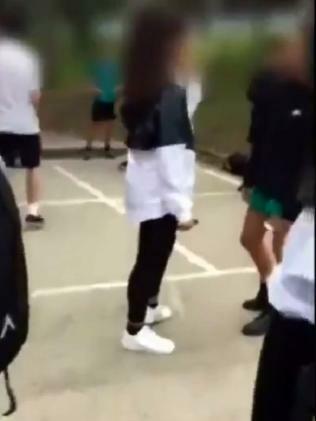 According to Nine News, the unsettling video was filmed at a Tumbi Umbi campus on Friday and shows two teen girls having a confrontation and throwing punches. 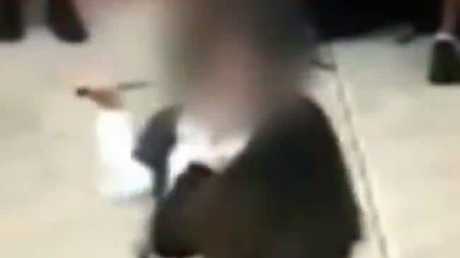 Footage emerged of a teenage girl appearing to threaten her classmate with a knife. A group of students watch on as one girl raises the weapon to the other's face. At this point a teacher intervenes and the girl with the knife walks over and puts the weapon back into her school bag. 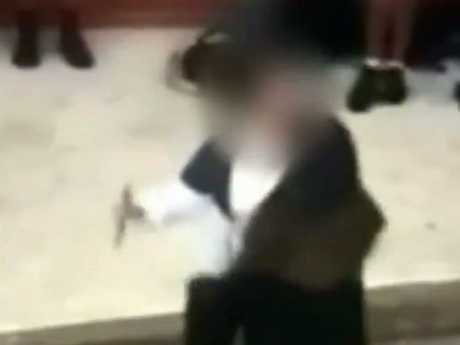 The NSW Education Department has said that mandatory suspensions are issued to anyone who brings a weapon to school. "The department has a zero-tolerance policy towards bullying, violence and harassment," a spokesperson told Nine News. The school says appropriate disciplinary action was taken after the fight. "This incident involved two students on Friday morning. A staff member intervened quickly and nobody was injured. 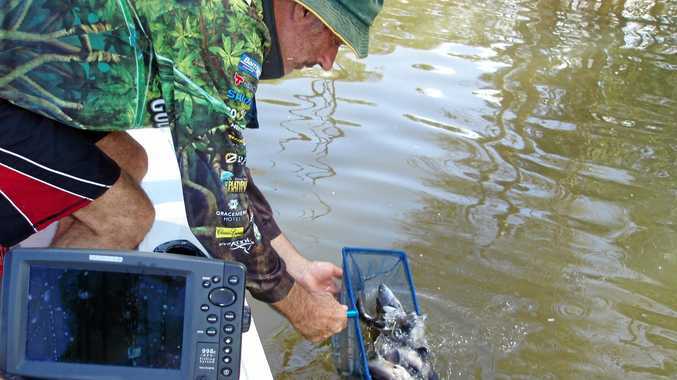 "Appropriate disciplinary action was taken immediately and police were contacted. The school is providing counselling and support to the other student."